I realized a couple months ago that I haven’t been writing… Not because I had nothing to say, or hadn’t heard any good music or been inspired by a soft breeze while lying in the sun (all the cliches). I just hadn’t. 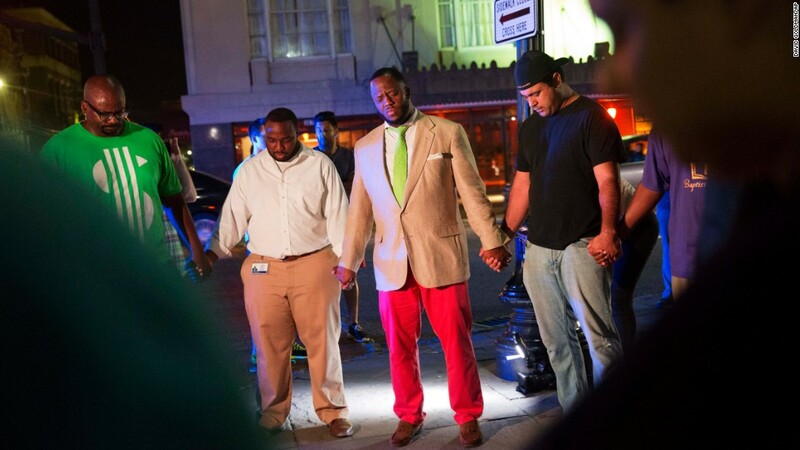 But today… Today, I’m overcome with emotion for the group of folks who were minding their own business during a church bible study in Charleston, SC. A group of strangers who welcomed in a young man who later gunned them down simply because of the color of their skin per his own words. A young man (his name I will not speak and whose photo I will not share) who then went about his day of escaping, driving away from life. I imagined him calling his relatives, the people who loved him most or perhaps ignoring their calls because he didn’t want to hear what they had to say when they saw his picture flash across their tv or social media networks. The nine who were shot yesterday will never again have the chance to do any of that. They can’t escape. They can’t go about their day. They will never again be able to receive or dismiss a call. As I have watched all the debates occur surrounding this incident regarding race, faith, gun control and other issues it is the latter facts that strike me most deeply. I have tried to lose myself in the music that I usually like to critique. I’ve intentionally ignored related posts and refrained from commenting all while banishing all the thoughts and a keen desire to weep into my now cool mug of hot tea for all who were lost and the loves they unexpectedly left behind. I’m not winning today. I’ll try again tomorrow.